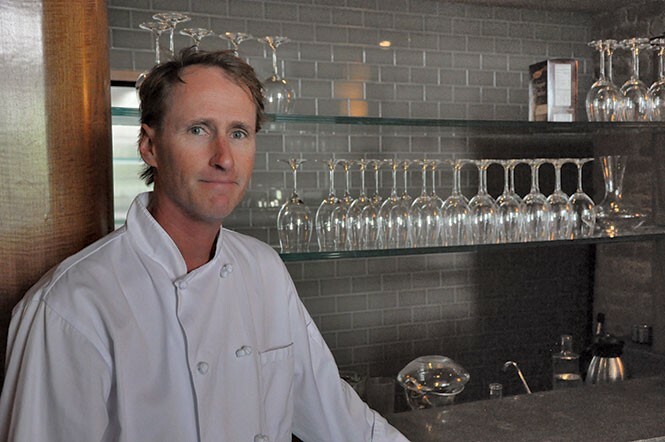 Tom Grant has worked for the Pub Group (Desert Edge Brewery, Stella Grill and Red Butte Café) for three decades, and has helmed its Martine Café (22 E. 100 South, Salt Lake City, 801-363-9328, MartineCafe.com) since 1999. He's always been one of my favorite local chefs—a very creative talent, but also just a helluva nice guy. Now, he's leaving Martine to work with The Blended Table (TheBlendedTable.com), a Salt Lake City-based catering organization that initially operated out of Martine's kitchen. The Blended Table offers services ranging from cocktail parties and corporate events to tasting dinners, weddings and other occasions requiring first-rate catering, food and drink. Temporarily using the facilities of Spice Kitchen Incubator (SpiceKitchenIncubator.org), The Blended Table has plans to build its own catering kitchen in the near future. At Martine, Brandon Mowbray (formerly Grant's co-chef) will take command of the kitchen. Anyone who has visited Montage Deer Valley (9100 Marsac Ave., 435-604-1300, MontageHotels.com/deervalley) knows that it's a total class act. Well, the Montage recently classed up après-ski at Deer Valley Resort with the new addition of its Après Lounge at Montage, adjacent to the resort hotel and near the Empire Canyon Grill. It's a warm and cozy, yurt-type structure designed and furnished with flourishes by Park City's Gorsuch Ltd., including a bar, comfy couches and plush chairs for relaxing with a glass of Veuve Clicquot. The lounge will also offer gourmet bites such as fresh caviar. The Après Lounge at Montage is open to the public from noon to 4 p.m. throughout ski season. A couple of eateries have recently opened in the new square in Sugar House, just off of Wilmington Avenue. Spitz (SpitzSLC.com)—home of the döner kebab—has a nifty new location there. And, just a few steps away, an upscale (but casual) new Vietnamese bistro called Somi (SomiSLC.com) has opened, and I was very impressed with my initial visit. Stay tuned here for further updates. Quote of the week: I prefer my oysters fried; that way I know my oysters died. This story was updated Jan. 14, 2016.